The Welsh Field Ranking is maintained by the F.L.O. (Field Liaison Officer) who can be contacted for further information through the committee page. All seven field disciplines are represented and. The ranking list runs from March to September. Placing is determined by a points system as used by GNAS field committee. This table shows the final 2018 field rankings for Welsh archers shot at qualifying tournaments. This table shows the final 2018 outdoor target rankings for Welsh archers shot at qualifying tournaments, based on results received from shoots up to 1/10/2018 (includes WAA Outdoor Champs). A qualifying tournament for Gents is a York/WA 1440/WA 720 (70m/60m/50m) and for Ladies a Hereford/WA 1440/WA720 (70m/60m/50m). Ranking priority is given to those who have shot the most tournaments although of course this balances itself out once the minimum 5 tournaments have been shot. Up to the top 20 archers in each discipline are shown during the season. All archers who have shot qualifying rounds will be shown in the final list published at the end of the outdoor season. 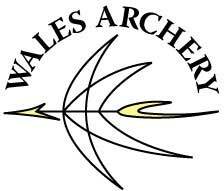 All Welsh tournament organisers are requested to forward a copy of their results as soon as they are published, and if any archer would like to include a score shot outside of Wales then please forward a results list to me no later than 2 months after the tournament. Closing date for inclusion is 1st October. I will endeavour to update the live list at least once a month during the outdoor season. If you have shot at a qualifying tournament, and do not appear on the list within a month, then I probably haven't received your results, or you are outside the top 20 in your discipline!